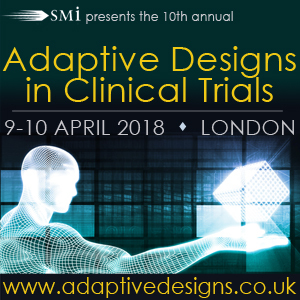 Now running for 10 years, SMi’s annual conference on Adaptive Designs in Clinical Trials will return to London on 9th and 10th April 2018. The programme is now live on www.adaptivedesigns.co.uk/pphorum. 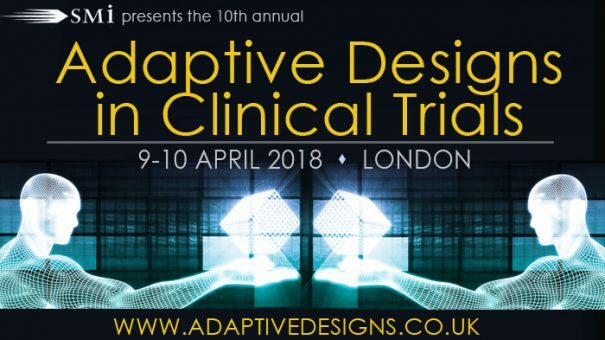 This year’s agenda has been curated to provide you with the latest innovations, regulatory updates, and strategies on how industry and clinical experts are currently using adaptive designs in their clinical trials for successful drug, medical device and therapy development. Giving you a fresh take on this vital area of biopharma, the event will ride the wave of technology within the pharmaceutical industry, as we consider how the increasing use of smartphone apps and digital devices is changing the way trials run. Simultaneously, the event will also explore how adaptive designs are being used for the production of personalised medicines and personalised therapies. Early Bird: Book by Dec 15 to save £400. Book by Jan 31 to save £200. Book by 28 Feb to save £100.